Barse & Hopkins was founded in 1909 when William J. Barse (of the publisher Brewer, Barse, and Co., Chicago) partnered with John H. Hopkins and began publishing in New York City. Around 1925 the firm moved to Newark, New Jersey. 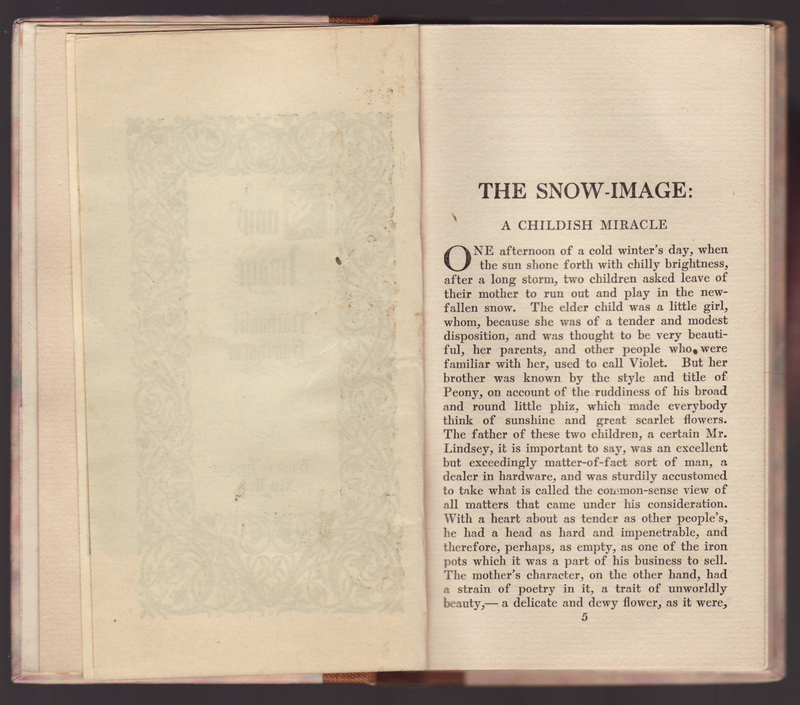 Given the lack of dates in many Barse & Hopkins reprints, the inclusion of Newark on the book’s title page can at least place the date of publication to after 1925. In 1928 Hopkins left the firm to become a literary agent. The firm continued (as John H. Hopkins & Son) until bankruptcy in 1932 when Grosset & Dunlap acquired the firm and its stock. 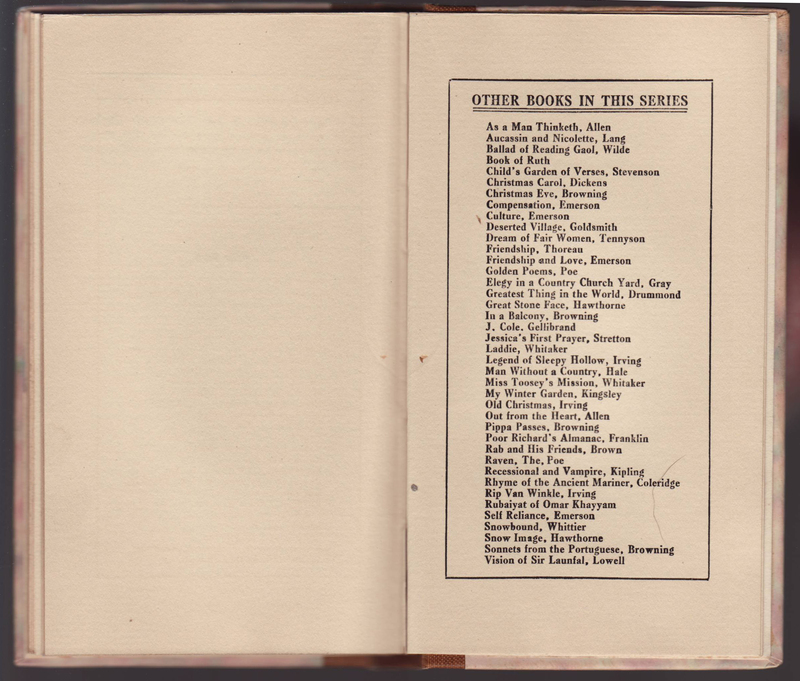 Grosset & Dunlap continued to publish books with the imprint until at least 1937. Barse & Hopkins Essex Series (the label on the side of one of the boxes that held Essex Series books is shown above) was one of many decoratively bound gift books sold by dozens of publishers in the late 1800s and early 1900s. 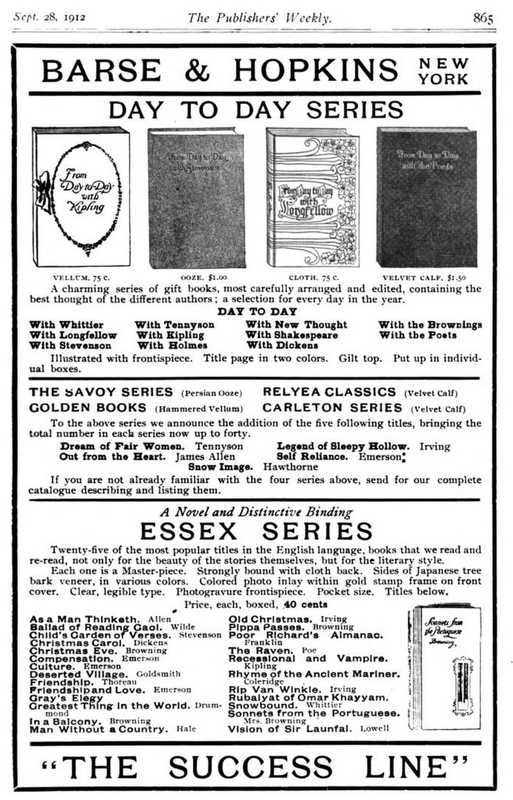 Barse & Hopkins itself had numerous series (see the entry for their Pocket Classics) including, in the September 1912 advertisement below, the Day to Day Series, the Savoy Series, the Golden Books, the Relyea Classics, the Carleton series and the Essex Series. The Essex Series consists of brief works in a small, pocket-sized format. The Essex Series and its initial 25 titles are advertised as having “a novel and distinctive binding” and titles are priced at .40 cents each. 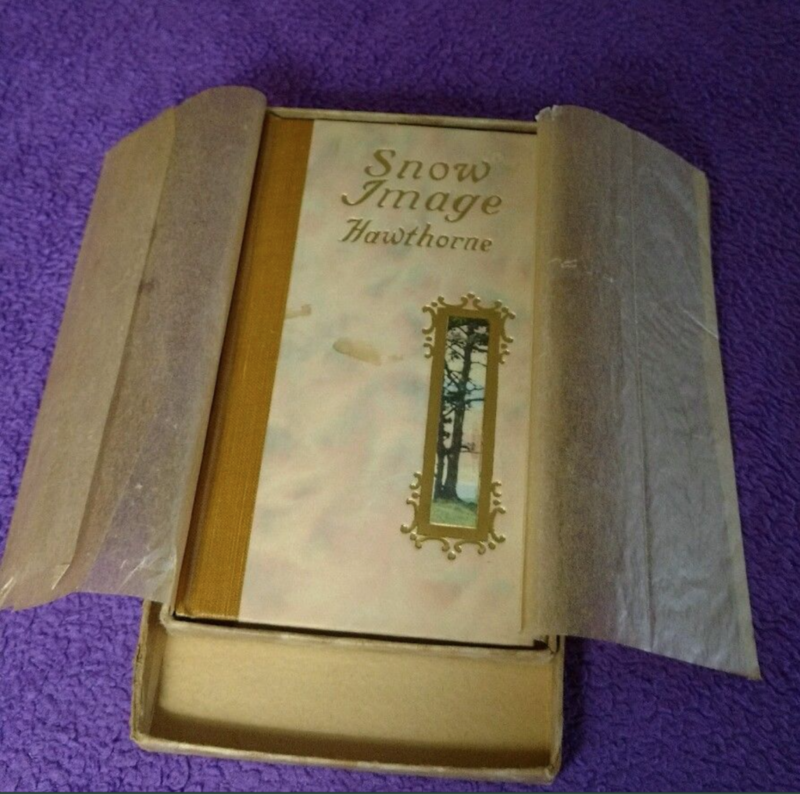 The books are decoratively bound, wrapped in tissue paper and boxed. 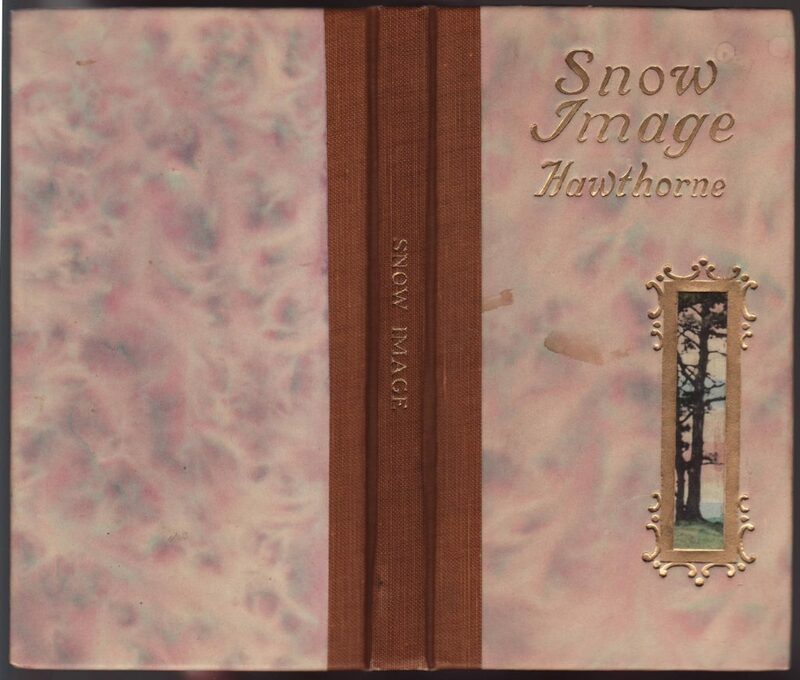 This copy of Hawthorne’s Snow Image is undated, but is not on the list of 25 in the advertisement above, so 1913 or 1914 rather than 1912. The quarter bound books have cloth spines and paper boards printed with a multicolor, blurred ink effect. A debossed and embossed image is included on the front of the book, and typography (and the frame for the image) is printed in gold. 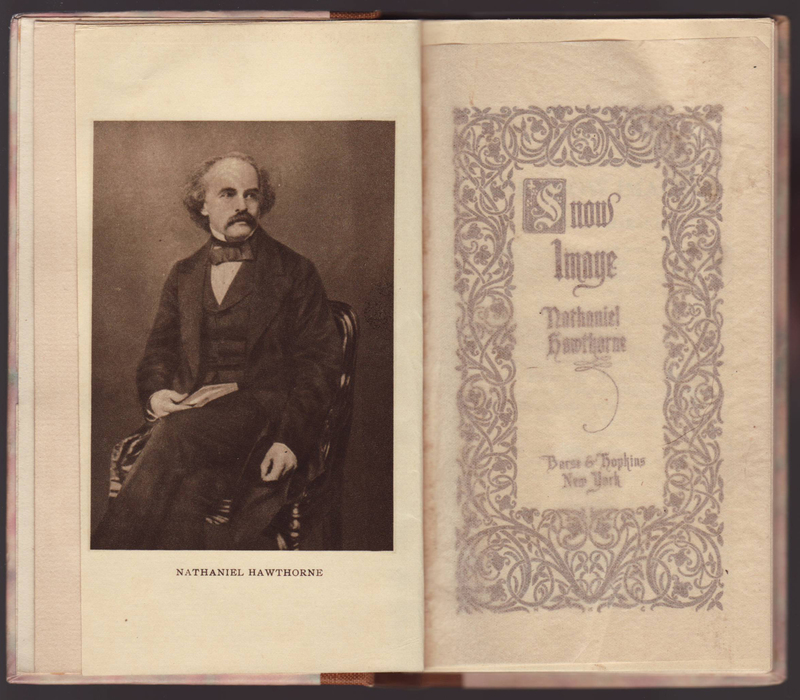 The books have no half-title page. 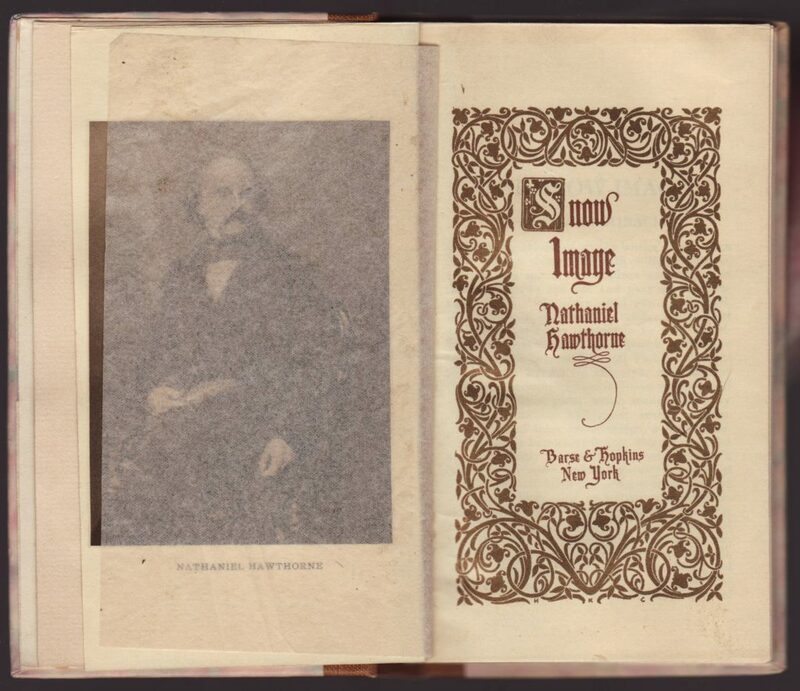 The title page is faced by a frontispiece illustration of the author and separated from the title page with a bound in piece of tissue. Floral decorations surround a hand-lettered title page with the publisher’s New York imprint. A list of 40 titles in the series is printed on the last page of the book. All are brief works, short stories and a few books of poetry.